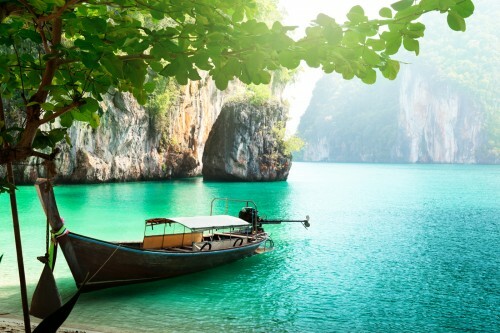 Cheap last minute flights to Thailand: Bangkok for €331! Norwegian now offers few dates in August / September when you can book cheap flights to Thailand. Return tickets between Stockholm Arlanda and Bangkok are available for €331. This price includes only cabin luggage but it should be enough for your stay in Thailand – it’s hot anyway, so pack your swim suit and flip flops and you are ready to go. Also, Norwegian is a low cost airline which means you don’t get any food during the flight, but you can purchase it. On the other hand, it’s one of the few companies where you can enjoy free wifi onboard! Departure: 15.8., 17.8., 20.8., 22.8., 24.8., 27.8., 29.8. Return: 11.9., 13.9., 18.9., 20.9., 22.9., 25.9., 27.9., 2.10., 4.10., 9.10., 11.10., 13.10., 16.10. Stockholm is easily reachable by many low cost flights (Ryanair, Wizzair) to Stockholm Skavsta where you can take bus to Arlanda airport or by flying directly to Stockholm Arlanda. Book directly via Norwegian as soon as possible!